As the husband of England's longest-ruling monarch, Queen Elizabeth II, Prince Philip has almost no official duties under his title of consort to the reigning queen. As such, he seems to always take a backseat to her majesty's public grandeur — at least, that's how it appears to us Yankees across the pond and those who watch The Crown. But in reality, the man also known as The Duke of Edinburgh has led a life of achievement and tremendous public service. Now, with the announcement that he will be retiring from public life in August of 2017, many are reflecting on his lifelong accomplishments. Here are some things you didn't know about Prince Philip. 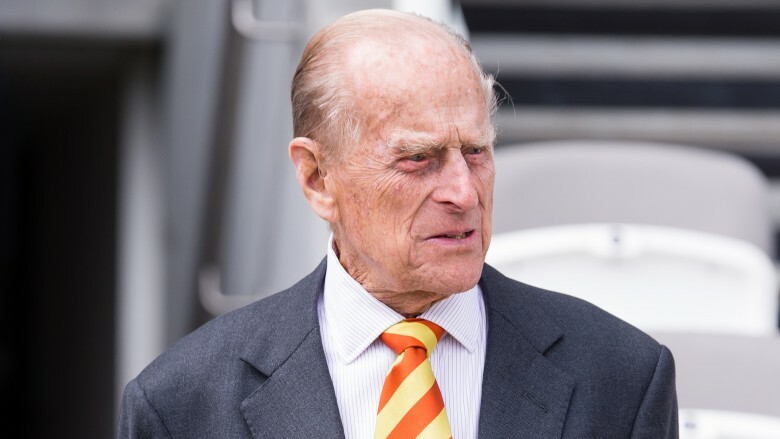 According to CNN, Prince Philip's full title is "HRH [His Royal Highness] The Prince Philip, Duke of Edinburgh, Earl of Merioneth and Baron Greenwich, Knight of the Garter, Knight of the Thistle, Order of Merit, Knight Grand Cross of the Order of the British Empire, Companion of the Order of Australia, Companion of The Queen's Service Order, Privy Counsellor." That is a lot of names, and actually, they're only a fraction of the honorary handles he's picked up over the years. 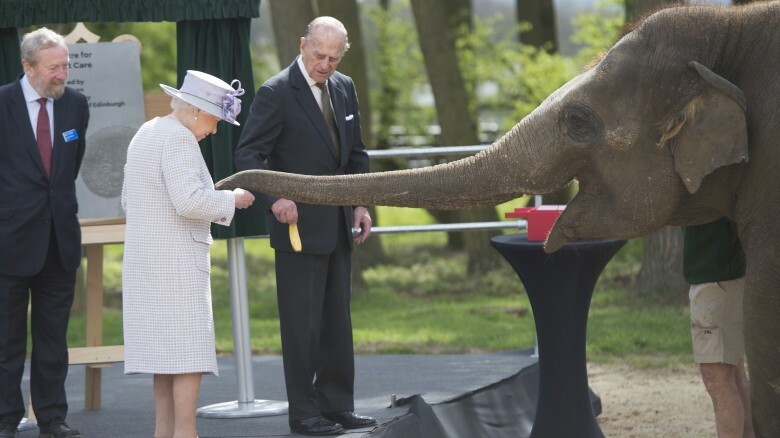 According to The Daily Mail, Prince Philip has also been named "a Knight of the Order of the Elephant in Denmark, a Royal Chief of the Order of Logohu in Papua New Guinea and a Knight Grand Cross of the Order of the Netherlands Lion." But wait, there's more. He's also received the distinction of being named "a Knight Grand Cross with Brilliants of the Order of the Sun by Peru," as well as been awarded "the Collar of the Order of the Queen of Sheba by Ethiopia, and the Collar of the Order of the Aztec Eagle by Mexico." This man, with all do respect, is the human equivalent of the Harry Potter series. Seriously, at what point does he just interrupt while he's being announced and say, "Hi, I'm Phil. I'm kind of a big deal." As we previously mentioned, Prince Philip's role of consort has little definition in terms of official duties, but that doesn't mean that the Queen's husband has been just loafing around Buckingham Palace all these years, occasionally rising from naps to polish the Crown Jewels. 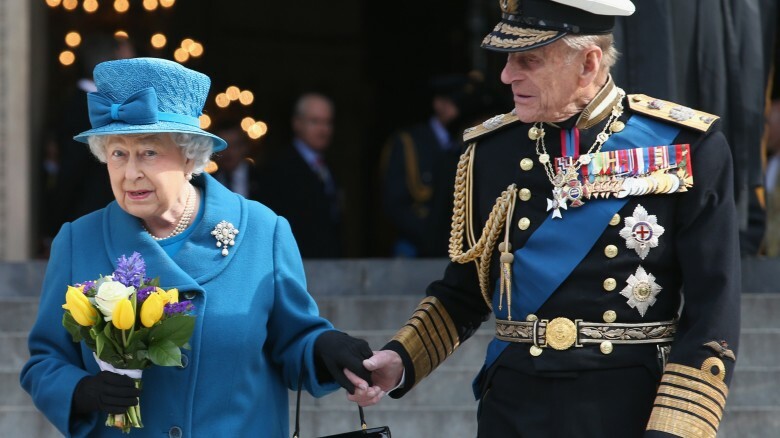 According to historian Carolyn Harris of Royal Historian, Prince Philip has "engaged in extensive, innovative charity work, supported the Queen in her duties and contributed to the modernization of the monarchy." And in his endeavors, the prince has racked up some impressive stats. 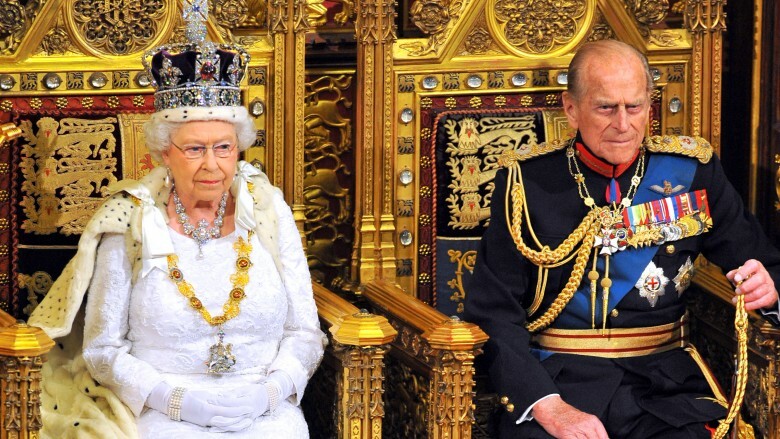 According to the official website of the Royal Family, Prince Philip is "Patron or President of 814 organisations." He has also traveled extensively, attending a staggering 18,567 official engagements, a number that doesn't even include the 251 "official overseas visits" for which he accompanied the Queen. That translates to an average of 371 engagements per year. In his travels, the Knight of the Thistle has also given a tremendous number of speeches: 4,632 to be exact, which averages out to "around eight speeches a month for 50 years." Sky News also reports that his speeches "cover over a yard of shelf space," but hey, who's keeping track right? According to History Extra, Prince Philip first met Queen Elizabeth in 1934, "when they attended the wedding of Philip's cousin, Princess Marina of Greece to The Duke of Kent, who was an uncle of Princess Elizabeth." And if that's already starting to sound a bit Jerry Springer-esque, hold on, it gets weirder. Thanks to a genealogy tool created by Expedia (via Business Insider), it was definitively proven that Philip and Elizabeth are third cousins via their great-great-grandmother, Queen Victoria. Of course, today this seems insane, but marrying within the bloodline was "a requirement for most royal families for centuries," according to Expedia. And, it's not as though this was some type of arranged marriage. After all, it wasn't until 1939 when Elizabeth "toured the Britannia, a Royal Naval College in Dartmouth" where Philip was enrolled that they began their courtship. They wrote to each other throughout Philip's service in World War II, and didn't marry until 1947, after Elizabeth's 21st birthday, per her father, King George VI's request. Not to mention, she probably recognized the qualities of the man destined to become a member of "the Order of the Aztec Eagle" and that is not one that you let get away. 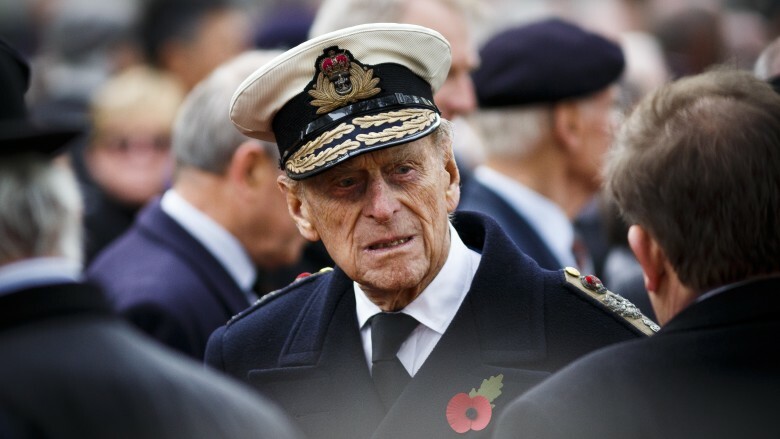 As we just mentioned, Prince Philip fought in WWII. He served as a first lieutenant in the Royal Navy, assigned to the destroyer HMS Wallace, according to an interview in The Guardian with one of his shipmates, Harry Hargreaves. Hargreaves recalled a frightening incident in which he credits Philip's quick thinking with saving the lives of everyone on board. After a German bomber had targeted the HMS Wallace and was en route to complete its inevitably fatal attack, Prince Philip hatched a brilliant plan to evade destruction. He had the crew quickly assemble "a wooden raft with smoke floats that would create the illusion of debris ablaze on the water," thereby diverting the bomber pilot's attention while the ship fled to safety. "Prince Philip saved our lives that night. I suppose there might have been a few survivors, but certainly the ship would have been sunk," Hargreaves said. Philip was also awarded the Greek War Cross of Valour, which according to The Daily Mail was given to him "for his bravery in the Battle of Cape Matapan against the Italian Navy in 1941." Philip was only 19 years old when he operated searchlights during the battle in which he reportedly later said "all hell broke loose." Though the royal family has unsurprisingly been not very forthcoming about it this fact, Philip's connection to the Nazi regime — through the marriages of his sisters — can't be denied. After the tragic death of his pregnant sister, Cecile, and her husband, George Donatus, the Grand Duke of Hesse (who were themselves members of the Nazi Party), Philip was photographed in a funeral march alongside his family members by marriage who wore full Nazi garb. "Beside him marched his surviving German brothers-in-law: Prince Christoph of Hesse, husband of Philip's youngest sister, Sophie, conspicuous in his SS garb; and Christoph's brother, Prince Philipp of Hesse, in the brown shirt of the SA. Philip's uncle, Lord Louis ("Dickie") Mountbatten, followed just behind in British naval dress," according to excerpts from the biography, Young Prince Philip: His Turbulent Early Life, published by The Telegraph. Not only that, but photographs published by Royals And The Reich author Jonathan Petropoulos (via The Daily Telegraph) also show Philip's sister Sophie "sitting opposite [Adolph] Hitler at the 1935 wedding of Hermann and Emmy Goering." The Daily Telegraph also reported that "Philip's sister Margarita had married Gottfried, Prince of Hohenlohe-Langenburg," who was a Nazi Party member as well as "an Army commander during the 1938 occupation of Austria." Aside from his sisters' affiliation with nazism, Philip never had any direct connection to the party himself, even once reportedly laughing about how at a school he attended, the Nazi salute was the same gesture used to indicate you had to go to the bathroom. 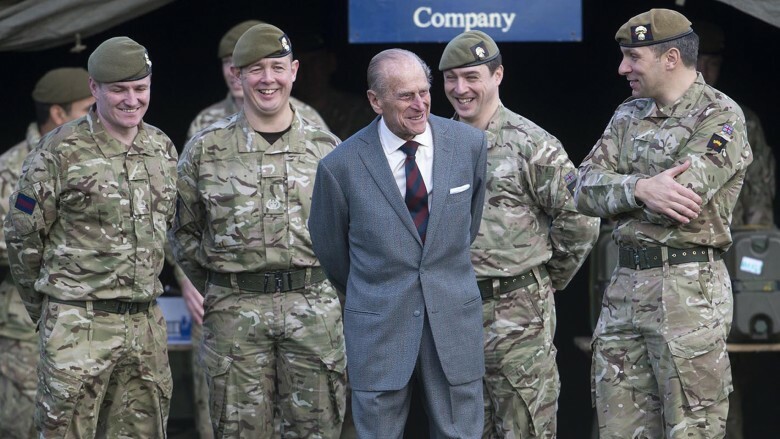 It stands to reason that anyone who's made literally thousands of public appearances is going to have a few slip-ups here and there, but Prince Philip seems to take the cake in the "public gaffes" department. In a list of his greatest (or worst hits depending on how you look at it), The Telegraph recalls a time when he said "You look like a suicide bomber," to a female police officer who was wearing a bulletproof vest. He also offered his thoughts on marriage once by saying, "When a man opens a car door for his wife, it's either a new car or a new wife." Another time, he insulted singer Tom Jones by asking, "What do you gargle with, pebbles?" And he's used the term "ghastly" to describe everything from flying economy class to Elton John's car and his total thoughts on the city of Beijing. 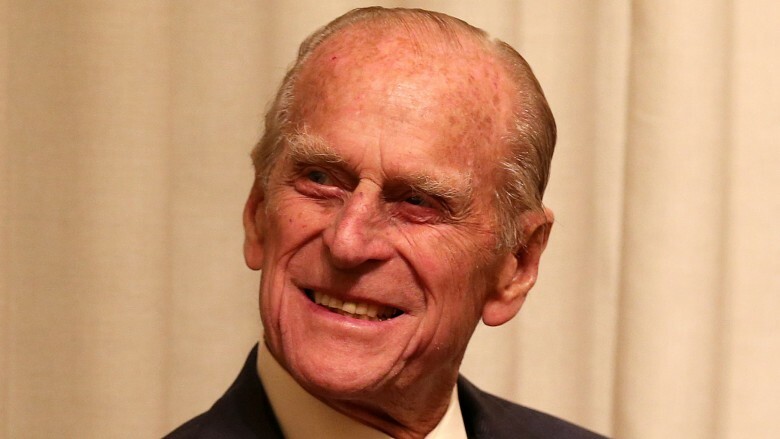 Most of his off-the-cuff remarks went by with a whimper, but in one incident, during an official visit to China, Prince Philip told some British exchange students, "If you stay here much longer you'll all be slitty-eyed." That did not go over well, and when asked about it later, he wasn't exactly apologetic. "I'd forgotten about it. But for one particular reporter who overheard it, it wouldn't have come out. What's more, the Chinese weren't worried about it, so why should anyone else?" Philip said. According to the official website of the Royal Family, Prince Philip was "the first President of the World Wildlife Fund-UK from its foundation in 1961 to 1982, was International President of WWF (now World Wide Fund for Nature) from 1981 to 1996, and is now President Emeritus." But you won't catch the Earl of Merioneth chaining himself to a tree anytime soon. Though he's long been a staunch environmentalist, his approach is more of a practical one. "If we've got this extraordinary diversity on this globe it seems awfully silly for us to destroy it. All these other creatures have an equal right to exist here, we have no prior rights to the Earth than anybody else and if they're here let's give them a chance to survive," he told the BBC. He also said he's more concerned with "the conservation of nature" rather than being a "bunny hugger," which is the term he used to describe animal lovers. He also believes that the main environmental crisis the Earth faces is overpopulation, for which he once suggested a possible solution: voluntary family limitation. Alrighty.